I use to think that sitemap are files or a webpage which is uploaded to the Control Panel of the website, just as how files like PDF and others are uploaded to the CP of the website. So because of this ideal that I have, when I registered with Google Webmaster Tool, I was told to upload my blog's Sitemap so that Google can better understand the structure of my blog, I went into a deep research to learn how I can create a sitemap that will keep updating itself automatically whenever I publish a new post, but I found nothing. So I give up. In fact, I gave up all hope of ever being able to create a sitemap and submit it to Google Webmaster Tool because as of now, my blog is hosted on Blogger, and blogger accept on the uploading of externally generated Pictures and Videos, not file or webpages. So I thought to myself, even if I was able to find a way to create a webpage or a spreadsheet file and manually fill it with all my blog's post and links, how will I be able to upload it. This thought alone discourage me so I gave up. But Recently, Not Too Long Ago, Something Happened. I register with Bing's Webmaster Tool, so that I too would be manually submitting my new post to them. But after a or two of me registering with them, I decided to check what they have to say about my sitemap and to my Surprise, they have they already have my blog's sitemap. I clicked on it to really confirm if the sitemap is really for my blog and I found out that it is!!!. So I was like, how come where they able to see my blog's sitemap. Or were they the one that create it for me? if yes, how come where the able to upload it and link it to my blog's domain name? all these were question that ran through my mind, but not for long. Because after I have submitted the sitemap link that Bing webmaster tool gave to me to Google webmaster tool, I came to realize that it is the duty of a domain name registrar to create that file and host using the person's root domain. I tried this one almost ever website that came to my mind and it worked!!! 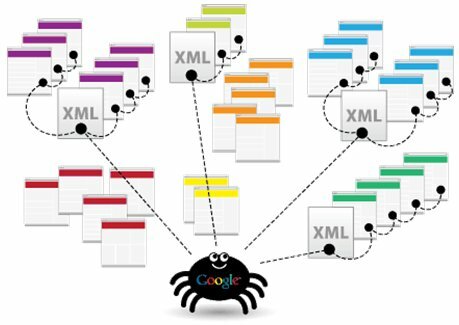 Although the sitemap that you will see is only readable by search engine crawler or spider. Now I understand that I only need to create a webpage or spreadsheet file if I want my blog's viewer to be able to see the list of all my post in a structural way. But if I just want to submit it to a webmaster tool service provider like Google webmaster tool, what I really need to submit to them is the sitemap from my blog's domain name registrar which is hosted in www.myblogname.com/sitemap.xml and I am good to go. So if you too is having this problem, learn from me and submit the one from you website address domain name registrar to them and you are also good to go. Get Google Ads Free! :: New Secret! !